Following a trip back to London for Lizzy’s wedding, I had discovered that a good South African hockey friend, Cheryl Boshi, was booked onto a tour in Tanzania just as I was due to fly back into Kenya. They were leaving from Nairobi the following day and so the timing was perfect. 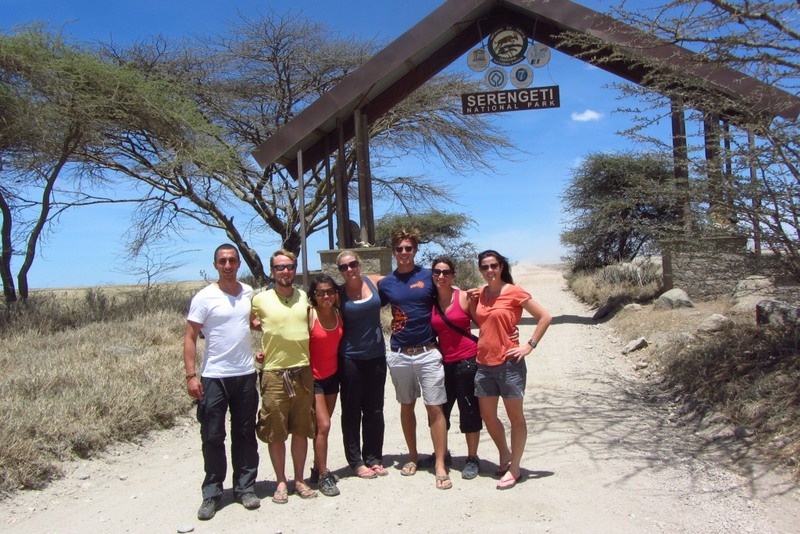 Boshi, Lara and Dave had been in Diani the week previously and flew up to Nairobi the night before the tour was due to start – what luck! I splashed out and joined them for the night at the Heron Hotel in Nairobi, and we piled into a transporter the following day to head for the border and onto Arusha. The tar was good and the drive was painless, as was the border crossing. Our campsite for the evening was the stark Masai Camp on the outskirts of Arusha – does the job but nothing to write home about. A good friend of mine, Brad, runs his own Safari Company from Arusha and so Boshi, Nasser and I set off to the Mango Tree for a few drinks to see him and to pick up a roll mat for the trip, which turned out to be one of Kingsley Holgate’s from a previous expedition. Whilst in Arusha we happened upon the “Zebmobile”, an unmistakable Toyota cunningly camouflaged in zebra stripes. I had been following these guys on their blog but, as we well know – blogs are often not up to date, so I had no idea they were in Arusha. 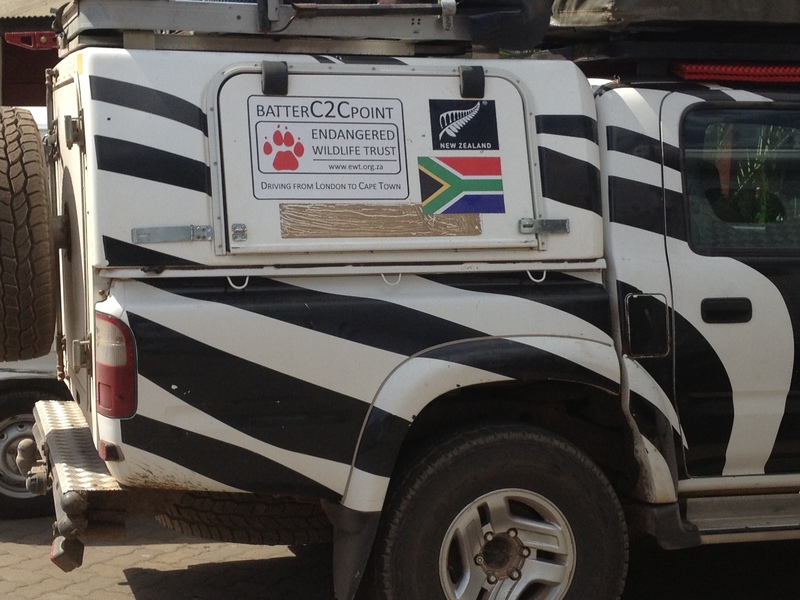 Thalia and Wynand are also overlanding from Battersea in London to South Africa – check out their blog here BatterC2CPoint. Although I didn’t get to talk to Thalia and Wynand themselves, I continued to watch their trip down and am pleased to report they have completed their trip and are safely in South Africa – I hope to follow safely in their well worn tyre tracks! Ngorongoro Crater bound, we passed by Lake Manyara but didn’t stop. What a pity as it really was one of the places that had come highly recommended – time was short and we had a hell of a drive to do! Entered the park and travelled along the crater rim and stopped at view point… well hello jaw dropping awesomeness! Our campsite was on the rim overlooking the crater. We shared this space with a horde of other travellers and enjoyed our evening meal, cooked by our support team in the block hall nearby. The next morning we had to skirt round the crater rim again and headed North West towards the Serengeti. We stopped at a Maasai Village ($10) where we were greeted by dancing jumping warriors, singing women and crying children. A guide showed us to a hut, took us inside and explained the ways of their semi-nomadic life. It was all very interesting. The tribes actually move from village to village – rather like house swap. One rite of passage from boyhood to the status of junior warrior is a painful circumcision ceremony, which is performed without anesthetic. The boy must endure the operation in silence. Expressions of pain bring dishonor, albeit temporarily. During this period, the newly circumcised young men will live in a “manyatta”, a village built by their mothers. The manyatta has no encircling barricade for protection, emphasizing the warrior role of protecting the community. No inner kraal is built, since warriors neither own cattle nor undertake stock duties. The piercing and stretching of earlobes is common among the Maasai, and they tend to remove one or more canine teeth early on in childhood as they believe that diarrhoea, vomiting and other illnesses are caused by swelling over the canine region. 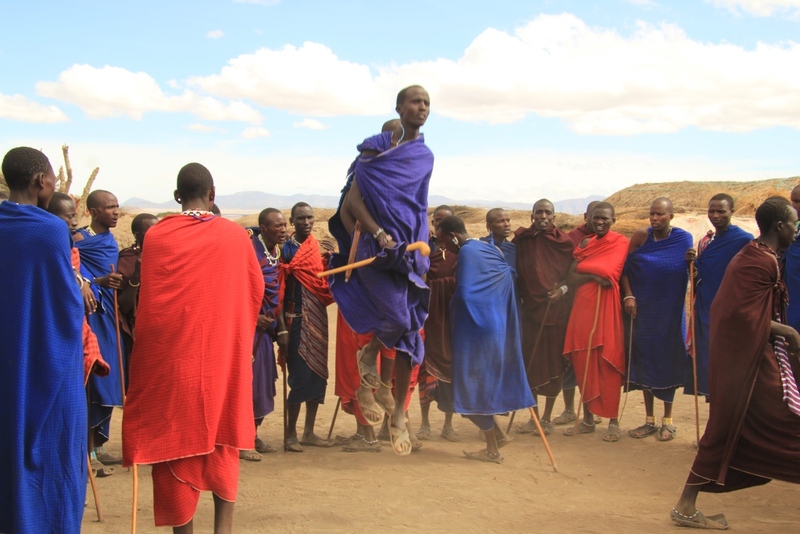 For Maasai, the end of life is virtually without ceremony, and the dead are left out for scavengers. A corpse rejected by scavengers, mainly spotted hyenas, is seen as having something wrong with it, and liable to cause social disgrace; therefore, it is not uncommon for bodies to be covered in fat and blood from a slaughtered ox. Although this village receives quite a lot of tourism, and are benefiting from the funds they receive from us all, I still left with the feeling they’d rather not have the visitors. It wasn’t the best experience and I felt like they’d rather be left in peace. The road to Serengeti gate was atrocious, took over 4 hours to do just over 80 miles to the camp site. We took it slow but corrugations were blady awful. After travelling this road in someone else’s truck, I’m super glad not to have brought the Beast down these roads! The Serengeti was everything and more than I could have hoped for. We saw so much game in the two short days we were there – lions mating, cheetah stalking and charging zebra, tree climbing/sleeping lion and a leopard just hanging out causally. We spent the night in a local campsite and sat around the campfire chatting about our day. James fuelled the fire with sprays of alcohol and we were treated to a bit of a fire walking when a strange young man happened upon us and, loaded with dutch courage, tried to walk across our coals…! The next morning Boshi, Tave, Lara and Cat went off to a balloon flight across the plains. James, Nasser and hopped into the truck and went for a game drive with Simba. We saw more lions mating (must be that time of year? ), and herds of buffalo, hippo and zebra as far as the eye could see! 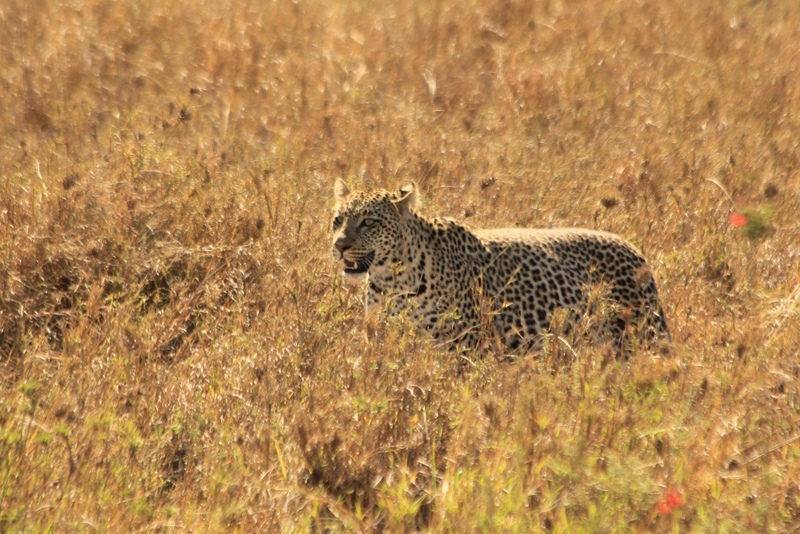 We were also so fortunate to spot a leopard walking in the grass – the game here is quite incredible! 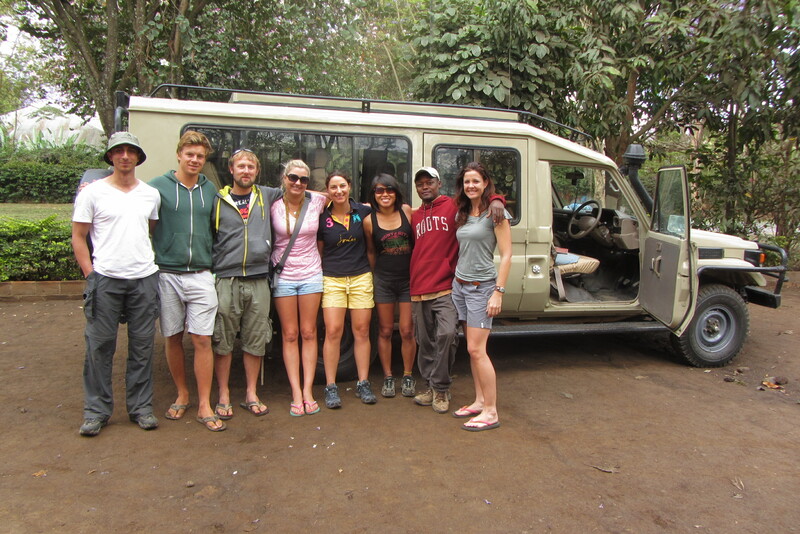 Sadly, two days just wasn’t enough but the tour was over and we started heading back for Arusha. It being Cancer Awareness day and all, the girls decided to get their tops off on the last game drive out of the Serengeti. The road back to the crater, same road on the way in, had claimed too many vehicles – we drove past spans of of broken down trucks, one on it’s roof, one burned out, and one dropped it’s suspension right before our eyes. If you are coming with your own vehicle, I suggest travelling super slowly – but would highly recommend doing a tour instead! Back in Arusha, Boshi, Nasser and I went over to Brad and Justin’s place to have a few drinks and say goodbye. The boys had been at polo all day and were worse for wear and hilarious to watch. The following morning, everyone else left for Zanzibar on their big yellow overland truck and I waved a sad farewell to some awesome people. I got a lift with a transporter back to Nairobi to catch a flight up to the North Coast to see some friends in Che Shale. Staying at the Wildebeest Eco Lodge in Nairobi is always such a pleasure and I cannot recommend it highly enough. This is so amazing! You’re whole blog is making me want to drop everything and travel right now!